YEREVAN. – The United States supports democratic, prosperous and secure Armenia, State Department official said in Yerevan. “We know that there may be possibility of new elections, we urge elections to be free and fair with participation of all. We will hold the next round of US-Armenia Taskforce discussions, and I expect them to take place in Washington in February. This will be an excellent moment to see how to deepen relations”, George Kent, Deputy Assistant Secretary in the European and Eurasian Bureau, told reporters in Yerevan. He emphasized that the US companies will be prepared to invest in Armenia if investment climate is supportive, and he discussed the matter during his meetings with business leaders in Armenia. 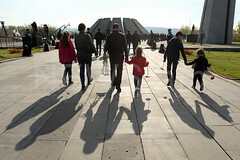 “Armenia faces challenges in creating economy that provides descent jobs for Armenians. It is important so that Armenians have good job rather than going overseas,” Kent emphasized. He also pledged U.S. support in the fight against corruption. 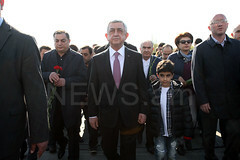 “The US partners will work with Armenians where they want us to work,” he concluded.